UCI president David Lappartient says it is “unbelievable” that Sir Bradley Wiggins has described Lance Armstrong as the “perfect” Tour de France rider. Briton Wiggins says he knows his decision to include disgraced drugs cheat Armstrong in a new book celebrating his cycling influences was never going to prove popular. Lappartient said it was “strange”. “Supporting Lance Armstrong, who has been banned for life for cheating, isn’t acceptable,” he said. “How he can say that the rider is the archetype of a big tour, if the guy won with all what we know about this? Armstrong recovered from cancer before winning the Tour de France a record seven consecutive times from 1999 to 2005. However, he was stripped of his titles and banned from the sport for life by the United States Anti-Doping Agency in August 2012. Armstrong repeatedly denied doping allegations following his return from cancer until finally confessing in January 2013. Wiggins, a five-time Olympic gold medallist, became the first Briton to win the Tour de France in 2012. He said his description of Armstrong was not about “praising” a drugs cheat. 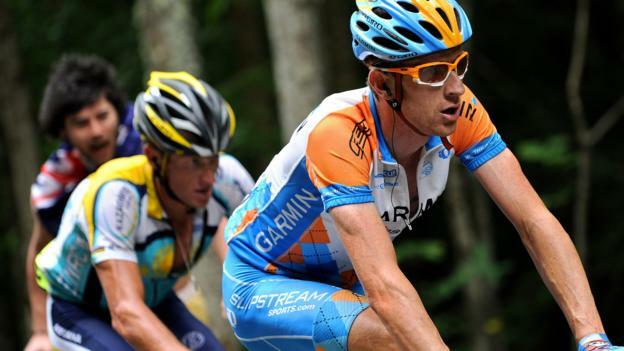 He believes the American’s character and resilience on the bike makes him an icon in cycling, regardless of his doping.